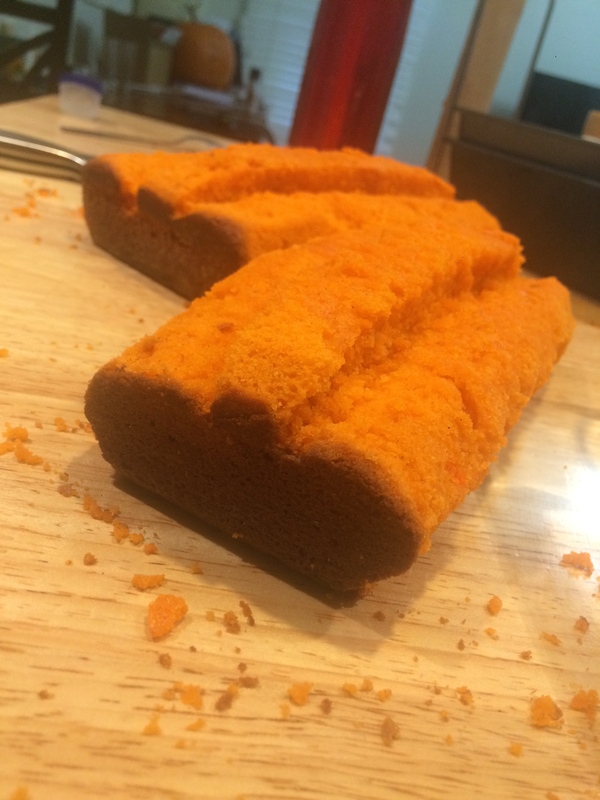 I hope it’s not too late to post Halloween goodies, because this little loaf cake is too cute not to share! 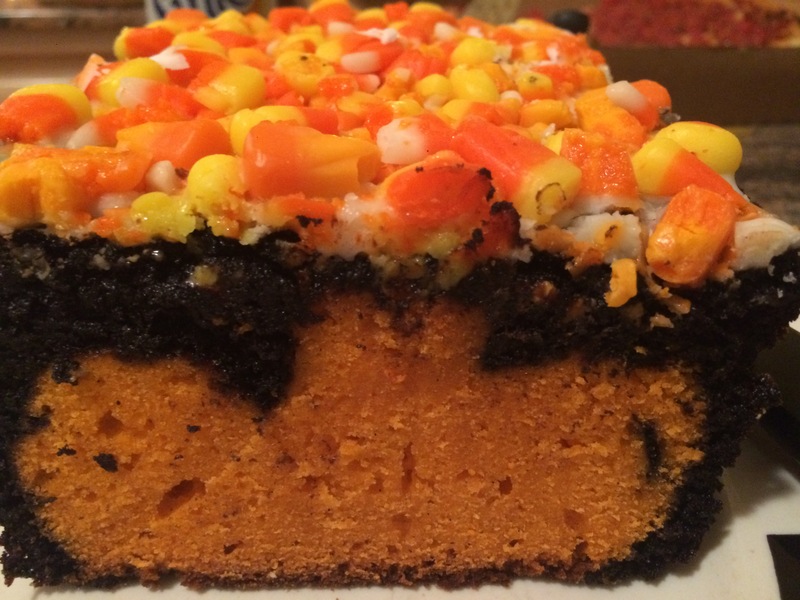 Not the best pictures because the reveal was taken at a Halloween party and we were all eager to get to the eating part. 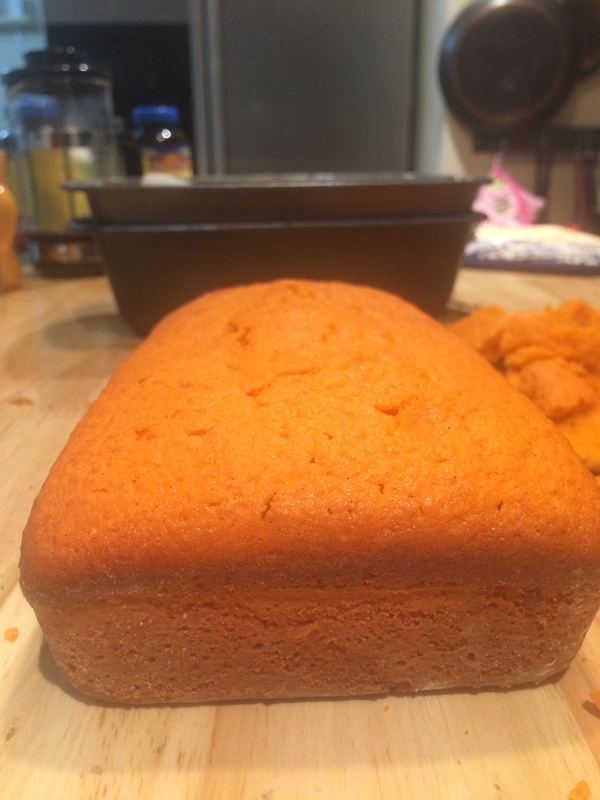 Step 1: Bake your orange loaves. Any vanilla cake recipe (yes, even a box mix!) will do just fine with some orange food coloring added. Step 2: Carve the pumpkin. Eat the crumbs, you won’t be needing them. 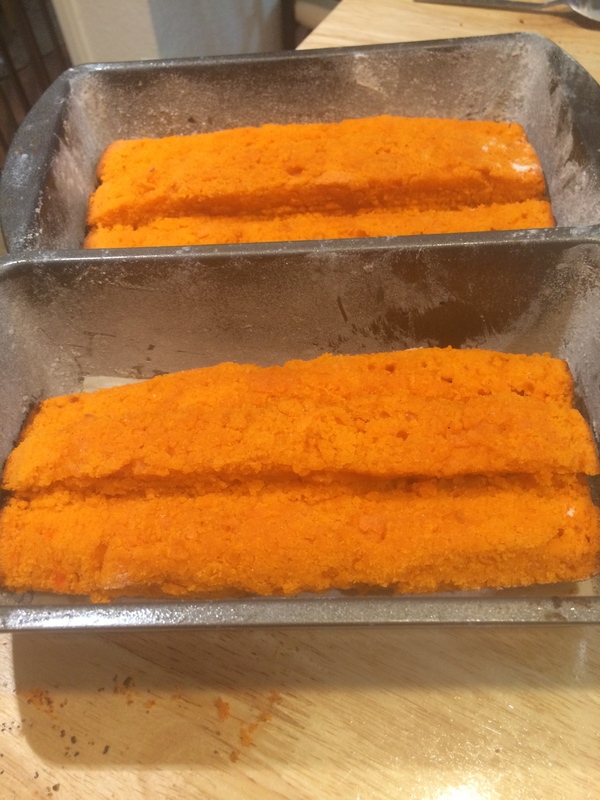 Step 3: Now, the carved pumpkin cakes go back into the loaf pans. Step 4: Go ahead and cover them up with a chocolate cake batter. Again, any kind will work fine. Step 5: Bake again until the chocolate is cooked through. 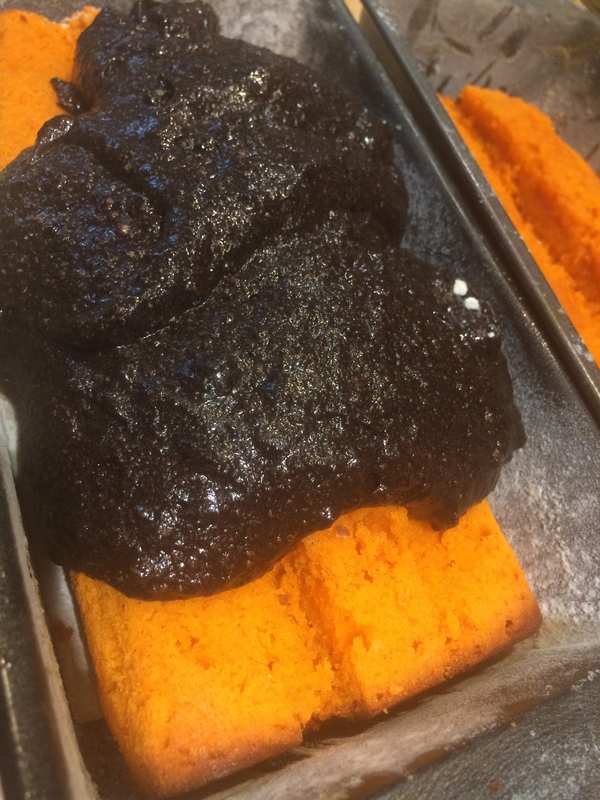 Because the vanilla cake is covered by the chocolate, it’ll be fine to be baked again. Step 6: Decorate. 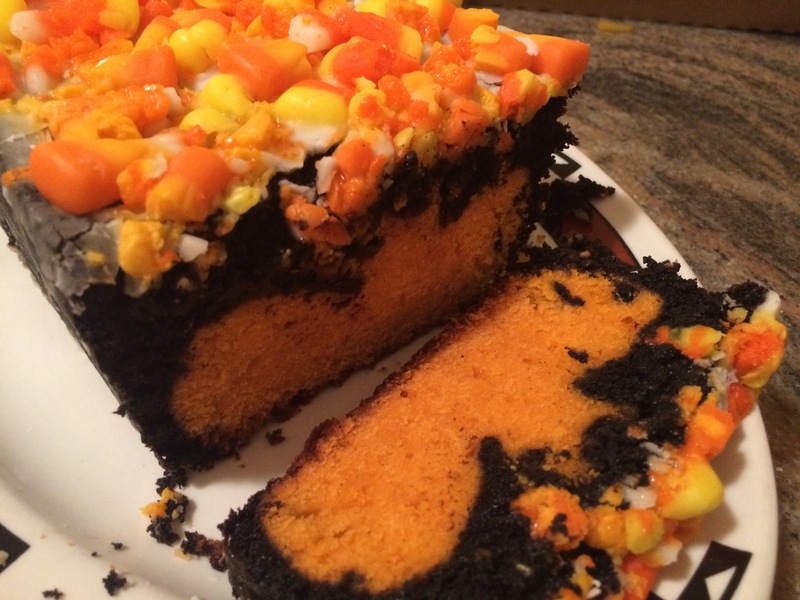 I covered the cake in a simple powdered sugar/milk glaze to cold the crushed candy corns in place and make this Halloween treat even more festive. Step 7: Slice and bask in the “ooh’s” and “ahhh’s” during the big reveal. 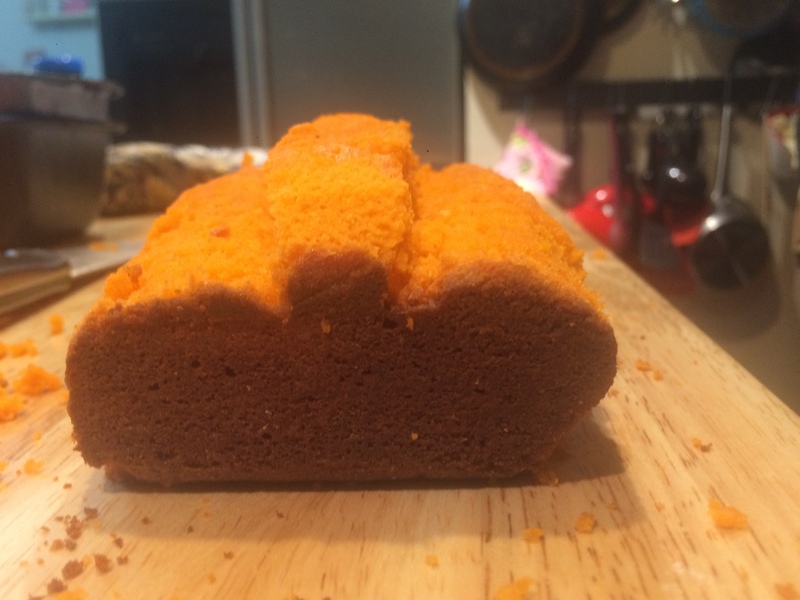 Every slice has a super cute (if slightly misshapen) pumpkin hiding inside. Enjoy, and Happy Halloween! I can’t wait to try this technique with other shapes–how cute would the cake be with a hidden heart inside?